What? You don't remember Bowser having his own stage in melee? You must've forgot then. Peach's Castle got capture by Bowser bla bla bla and it now has fire! Like the 64 version, it has hurting lava, lava waves and bursts of fire. Goes over Norfair with no rel change but has also a rel for Extra Stages and Rainbow Cruise. Enjoy getting one shot by lava. Peach's Castle is now flat! I took Theytah's great edit of Mewtwo2000's Peach's Castle from Melee and what I did is just flattened the ground and raised the walls, so it can be considered more competitive. There's also a platformed version. Goes over Final Destination with no rel. Includes cosmetics. Peach's Castle became a desert! Mewtwo2000's import of Peach's Castle from Melee with some changes. 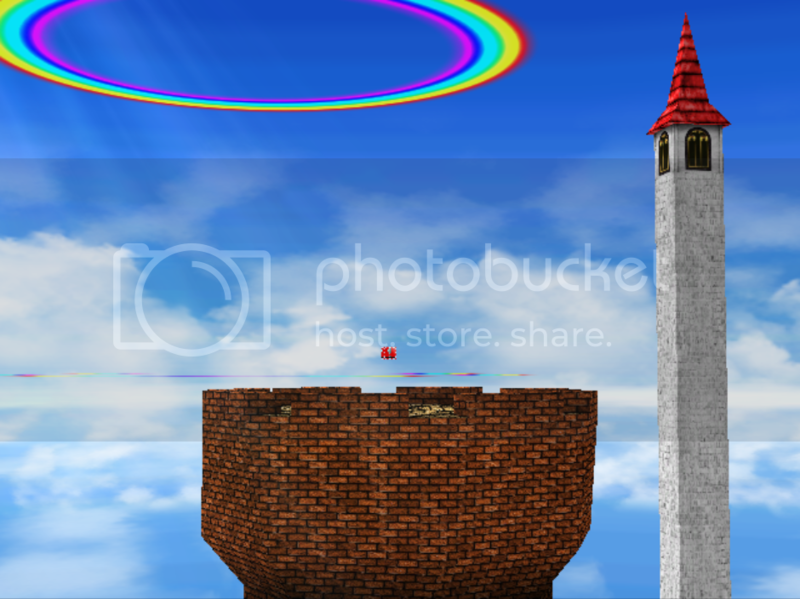 I imported the background from Mushroomy Kingdom and changes some material settings to adjust the lightning effects. Goes over Rainbow cruise with no rel changed (and I think FD too). Has PM Camera and contains cosmetics. You walk on three stripes of rainbow. Easy. Uses a FD rel to work. [PM 3.6] Peach's Story by davidvkimball, WorseDoughnut with credit to Mewtwo2000, Bazinga, and LlamaJuice. A tourney legal version of LlamaJuice's Peach's Castle HD stage is now playable. Peach's Story is a 1-for-1 reskin of Yoshi's Story (Melee). Randal works as normal, and as usual collisions, camera, and blast zones are identical from the PM 3.6 version of Yoshi's Story. This is one of my favorite stages so I hope you enjoy it! Update: Collisions fixed in the Omega version! 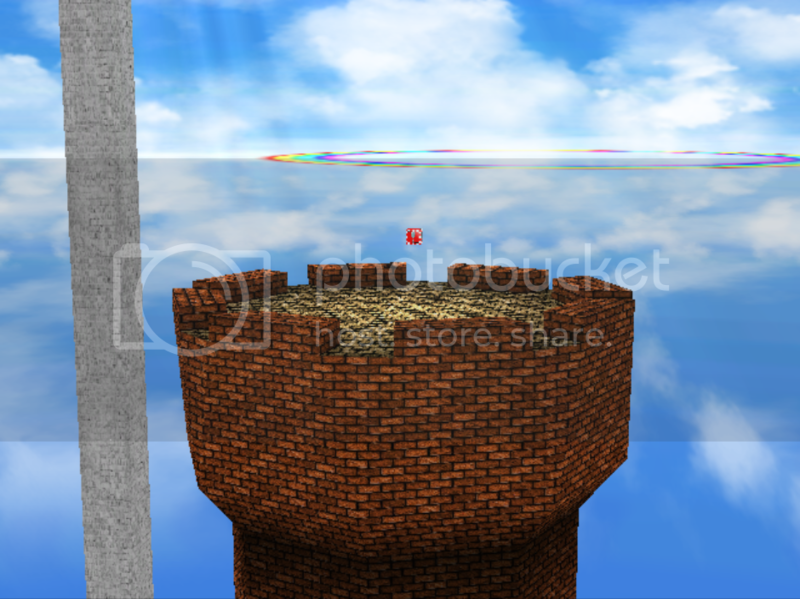 Stage animations (brick platform and the 2 triangles) extracted and imported into brawl. Uses smash3ds lighting system. Stage comes with brstm, .rel files, SSS icons, and stage itself. Will also come with Omega version made by Edwguard Flows. Comes with BRSTM, .rel files, omega version, and SSS icons! 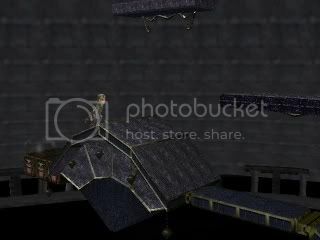 Peach's Castle HD by LlamaJuice, Ryztiq, Sandfall with credit to The PMDT and Mewtwo 2000 for his work on the N64 version of the stage. 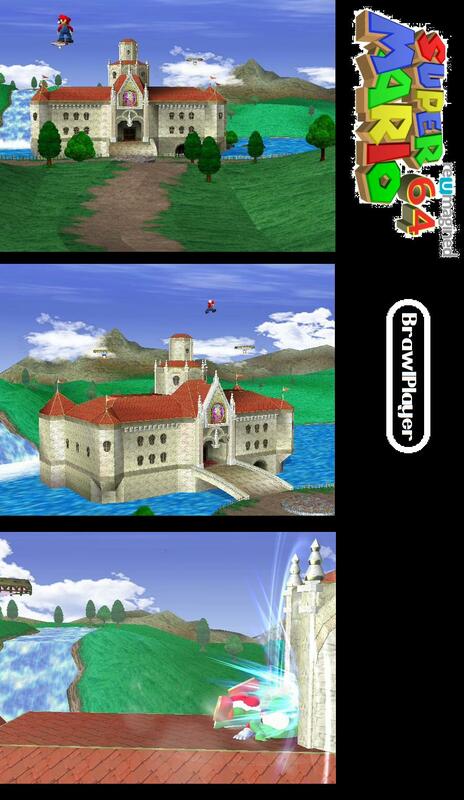 Map based off of the N64 Peach's Castle stage from Super Smash Bros. I made this version for Project M 3.6. This stage sits overtop Rainbow Cruise. Note all the hacks of my vault are moved to Mediafire!! This is the same hack of mewtwo 2000 with the textures changed with PETERTHEAWESOME99 textures, combined with the original textures. Rainbow Cruise with a different background. The background is Peach's Castle from Melee. 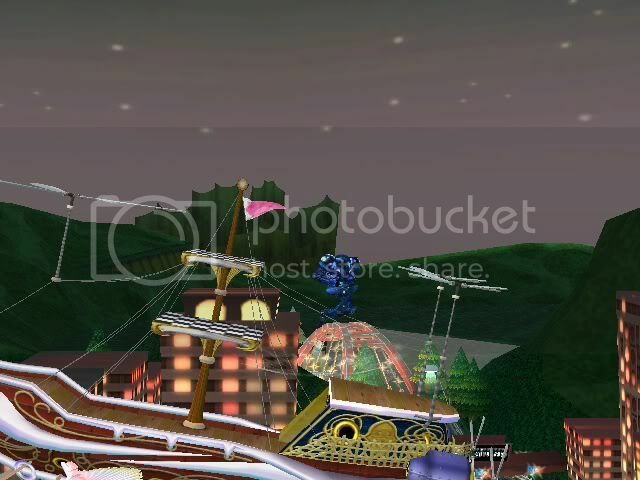 The stage plays the same as the regular Rainbow Cruise, and it's safe for wifi play and replays. I've included a Project M version, so that one will be safe for Project M.
Peach's Castle, from Melee. The stage comes in 2 versions, the standard one and what I've called the 'extra' version. 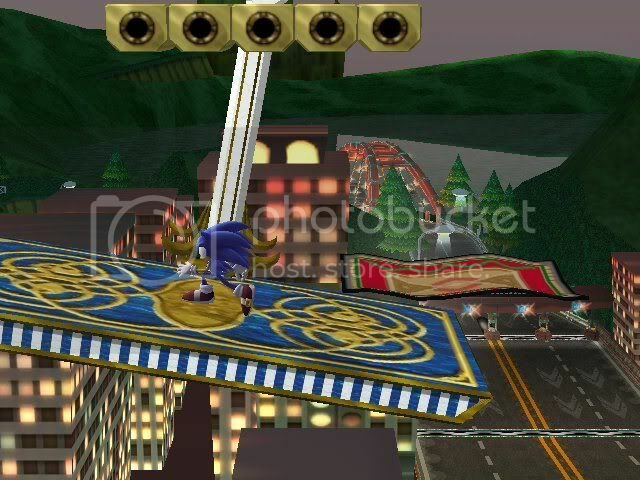 The standard one has moving platforms, which will move the same way no matter if you land on them or not. 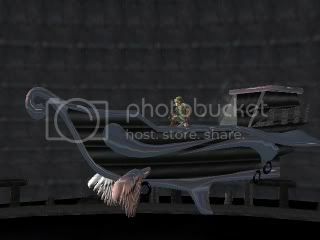 It can work over Final Destination, Rainbow Cruise and other stages with no rels. 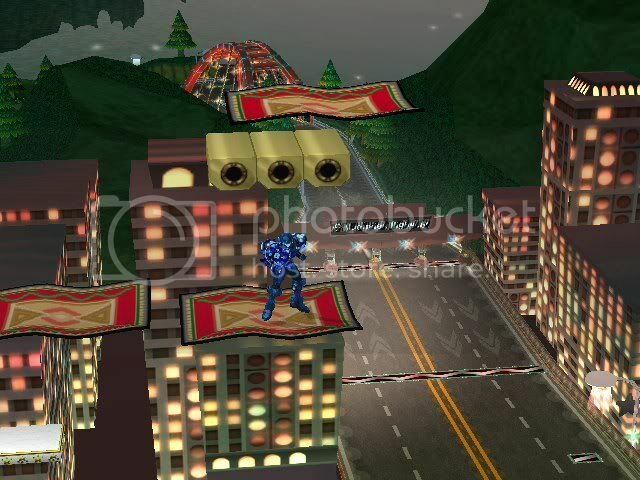 The extra version has moving platforms too, but those will move up only when you land on them. After a while, they'll dissapear to start on their original positions. This one is meant to be used over Rainbow Cruise, cause the special platforms only work on that slot. If you use that version over FD, it will work flawlessly, only that with no platforms. I've included a rar package with the files needed to make the stage load as an alternate to Rainbow Cruise. You'll only need ASL Tool apart from what's included. There's also a rel file in case you want to use the 'extra' version over a stgcustom slot. If you make any edit to this stage, remember to collab me as the original maker. I hope you enjoy it! Ah yes, this GREAT GAME. This was actually my first true hack, what kept me from going thru with it was PATO animations. I couldn't make 'em with Brawlboxv64.. So ya, I ended up remaking everything. I only reused the textures. Other than that, I pretty much built a new stage. x) Huge credit to my BROO for his awesome Nintendo WII like textures. I'm trying to convince him to make an account on here... But, nothing so far. I hope this brings back nostalgia for some of you old ones. ;) Enjoy. My master piece is finally released! This is not an import, I made this from scratch. Textures from Ocarina of Time ripped by yours truly. Goes over Jungle Japes. Also includes a rel file to work over Rainbow Cruise. Custom Lighting added. Thanks to Mewtwo2000 for his tutorial! Special thanks to my friend DataDrain for the video, for testing this stage countless times, and also for giving me some ideas. Note: It might cause lag on 4 player matches due to the fact that I have over 150 models on there. That is a problem that can't be fixed, that many other stages have as well. Deal with it. Thanks to Oli-Oli's "Do The Mario" stage as a template, I was able to make this stage based off of a music video I found on youtube - "Gigi D' Agostino Blablabla". As you fight on an almost chalkboard-like stage, the guy in the back continues to walk to the beat... Sometimes... I couldn't get the tempo quite right in the animation but it still looks good. I never really liked rainbow cruise so this download is made to replace it but if you really don't like that then there's some .rel converters out there where you can switch it to whatever stage you'd like. 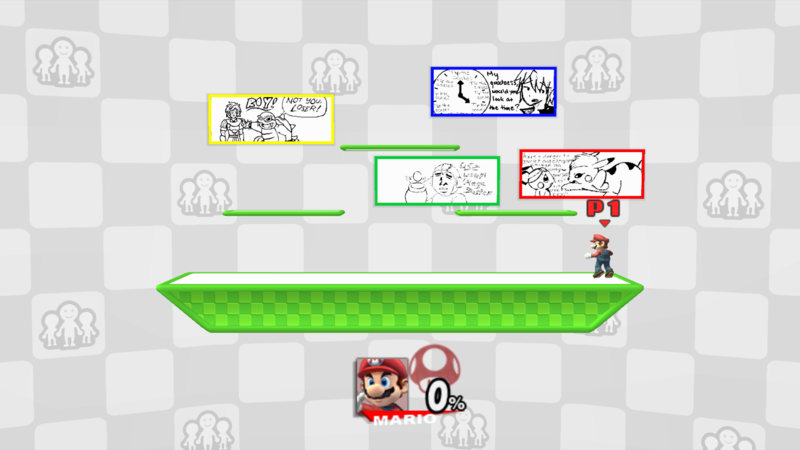 In response to this being reported: Yes, all of the stages based off of Oli-Oli's "Do the mario stage" have lag. I'm not sure why considering not as much is happening compared to stages like warioware but it's just the way it is. So, Warning to all who download this, it has a small amount of lag during the match though I don't think it effects gameplay too much. Now it doesn't self destroy after one cycle ! I also removed the two plateforms on the ship to make it feel more "Shadow temple" like. It's just a background swap for Rainbow Cruise, using Moonview Highway as the background. 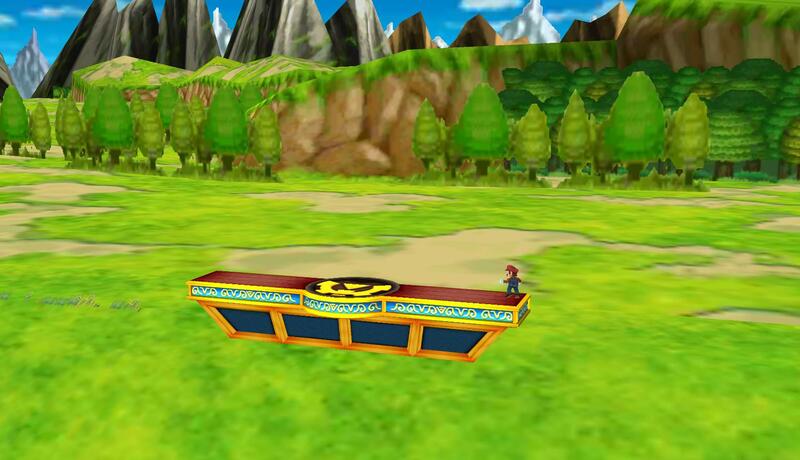 I'll edit the actual stage's textures itself later, unless someone else is willing to. Page created in 0.882 seconds with 136 queries.